State and federal agencies and employers are recognizing the integral role pharmacy technicians play in the prescription processing system. Due to stringent requirements for training and certification, pharmacists are more willing to work with technicians and delegate tasks that they would normally do themselves. Standardized training and education also helps to reduce medication error and build public confidence in pharmacy technicians. The Oregon Board of Pharmacy implemented new requirements for pharmacy technicians looking to register with the state. The Board requires technicians and students to secure registration before practicing in the pharmacy. 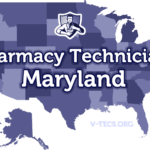 Licensed pharmacy technicians have up to one year to take a national certifying exam to upgrade their license to Certified Pharmacy Technician. Oregon’s Board of Pharmacy requires pharmacy technicians and students-in-training to possess a current registration (issued by the Board) before performing the duties of a technician. The registration must be prominently displayed in the pharmacy where the technician performs his/her duties. Initially, the Board will administer a one-year Technician License, which is non-renewable. The one-year initial license gives technicians an opportunity to obtain competency as a Pharmacy Technician, and pass the national pharmacy technician certification exam to become eligible for licensure as a Certified Oregon Pharmacy Technician. Therefore, license holders must register as Certified Technicians in order to continue working as a technician. Beginning January 1, 2015, all applicants for licensure must be at least 18 years and hold a high school diploma or GED. Additionally, applicants will need to pass a criminal background check to be eligible for registration. Applicants for Certified Pharmacy Technician must successfully complete the PTCB or NHA’s requirements and pass the national examination. Although the Board does not specifically require technicians to complete formal pharmacy technician training, graduates of training programs are more likely to pass the national exams and obtain employment. Additionally, the NHA requires applicants for certification to provide proof of training through an accredited institution. In lieu of formal training, the NHA will accept 12 months or pharmacy-related experience. The PTCB does not currently require applicants for certification to complete a formal training program, but that will change by the year 2020. Once the Board issues the registration, the technicians’ obligations to the Board does not end there. Technicians must inform the Board of name or address changes within 15 days and perform only the duties the Board approves for pharmacy technicians. The pharmacist-in-charge must verify the status of prospective employees with the Board before extending an offer of employment and also ensure that employees maintain their registration while they continue to work. The Board requires pharmacy technicians to be at least 18 years before applying for state registration. Effective January 1, 2015, Oregon’s pharmacy technicians and Certified Pharmacy Technicians must hold a high school diploma or GED equivalent to be eligible for registration. A report from a national FBI fingerprint background check must accompany all new applications for registration or reinstatement. Those applying for reciprocity must also undergo a criminal background check. Holders of Oregon’s pharmacy technician license do not need to retake fingerprints if the application for Certified Pharmacy Technician is submitted and processed by the Board within 12 months of the initial fingerprint submission. Applicants must respond truthfully to the criminal history questions on the application for registration. Untruthful answers or incomplete responses could lead to denial of the application. The Board requires applicants to report DUII, MIP violations, theft, shoplifting, assault violations, and other misdemeanors or felonies. It is not necessary to report speeding tickets and traffic infractions. Oregon’s Board of Pharmacy recommends ASHP accredited program and those accredited by recognized institutions. ASHP programs are recognized nationwide, making it easy for pharmacy technicians to transfer from one state to another. The curriculum of accredited programs prepares students for practice as entry-level pharmacy technicians in numerous settings. Graduates have the knowledge, abilities and skills needed to practice in community pharmacies, hospitals, and long-term care. Programs comprise of didactic, simulated and experiential components to produce well-rounded graduates. The didactic component includes those parts of the curriculum that do not require demonstration in the simulated and experiential settings. This normally takes place in a classroom setting where students learn basic and complex concepts and skills. Common topics include pharmacology, medical terminology, pharmaceutical calculations, compounding, I.V. flow rates, dispensing medication, administration, medical billing, laws, and ethics. In a simulated setting, students practice skills in preparation for the clinical experience. Students learn via instructor demonstration and receive feedback and an evaluation of their performance. The final phase of the training involves work/training in a clinical setting where students interact with pharmacists, technicians, customers and other members of the pharmacy care team. ASHP accredited programs consist of a minimum of 600 clock hours of didactic, simulated and experiential training that extends for a period of 15 weeks or more. The experiential activities take place in different contemporary settings (at least two) – community and hospital pharmacy. Other training programs cover fewer hours ranging from 150 hours to 300 hours that students complete in 4 to 8 weeks. Since the Board of Pharmacy does not stipulate training requirements for pharmacy technicians, it’s left to the student to choose a program based on personal goals. Training costs an average of $1,800 with a low $320 for a one-week training program and $2,400 for an eight-week program. Advertised costs do not cover essential expenses, such as textbooks, course materials, uniform, criminal background check, insurance, immunization, certification and state registration. Financial aid may be available at accredited institutions. One of the best ways to reduce the cost of training is to train under a pharmacist-in-charge at your place of employment. A growing number of employers prefer trained and certified technicians. However, a few employers still train new employees to manage the responsibilities associated with their pharmacy technician roles. All technicians in training must register with the Board of Pharmacy before practicing/training in the pharmacy setting. The Oregon Board of Pharmacy requires state technicians to acquire certification through the national certifying agencies, such as the NHA and the PTCB. However, there are other advantages to getting certified. National certification demonstrates to employers that your knowledge, skills and abilities are on par with national standards. Certified Pharmacy Technicians must re-certify every 2 years after completing at least 20 hours of Continuing Education credit. This requirement ensures pharmacy technicians provide value to patients and customers. National certification also increases pharmacy technicians’ job prospects and rate of pay. Provide proof of high school completion or GED. Disclose any criminal convictions or actions taken against you by any state Board of Pharmacy. Agree to abide by the Board’s policies. Attain a passing grade on the PTCE. The Board may deny your application based on the outcome of a review of your criminal conviction, actions of discipline, and violation of the Board’s policies. You must submit your application using the online portal unless the Board approves your written request to submit a paper application based on extenuating circumstances. Once the Board approves the application, you can schedule a convenient test date at any one of Pearson Vue’s testing centers across Oregon. The PTCB’s two-hour exam comprises of 90 multiple choice questions. The cost for initial certification is $129, and the renewal fee is $40 every two years. Provide proof of formal pharmacy technician training or at least 12 months of pharmacy-related experience (acquired in the last 36 months). The exam is available at more than 200 LSI/LaserGrade centers across the US, including centers in Oregon. The two-hour exam contains 120 questions that cover areas like Drug Products, Regulation and Technician Duties, and the Dispensing Process. Certification costs $105. There are two options for pharmacy technicians registering with the Board of Pharmacy. Applicants without national certification can apply for the one-year pharmacy technician license and complete the requirements of the NHA or PTCB to obtain national certification. The second license option, Certified Oregon Pharmacy Technician, is applicable to those who are nationally certified. For both licenses, applicants must possess a high school diploma or GED and be at least 18 years old. Complete the Board-provided application form. Make your check or money order payable to Oregon Board of Pharmacy. The application fee is $50. Provide details of your high school graduation or GED. Provide details of formal pharmacy technician training. Complete the criminal history questions and include supporting documents. Assent to the criminal background check. Mail the application and supporting documents to the address provided below. A copy of their PTCB or NHA certification. Consent to a new criminal background check, if the previous background check is older than 12 months. The Board requires one month to process the application. Technicians upgrading their licenses from pharmacy technicians to certified pharmacy technicians should submit the new application at least 4 weeks before the initial license expires. This is the only way to guarantee uninterrupted employment since technicians cannot work without a license. Oregon’s pharmacy technician licenses expire on September 30 annually. The Board encourages licensees to use the online renewal system for fast and timely renewal of their licenses. For paper applications submitted after August 31, the renewal fee is $20. Holders of pharmacy technician licenses cannot renew their licenses. Certified Pharmacy Technicians must maintain their national certification in order to renew their state licenses. Additionally, technicians must satisfactorily complete 10 continuing pharmacy education hours during each renewal cycle. The CPE hours must cover one hour of pharmacy law, one hour in patient safety or error prevention, and eight hours of Board-approved onsite training. 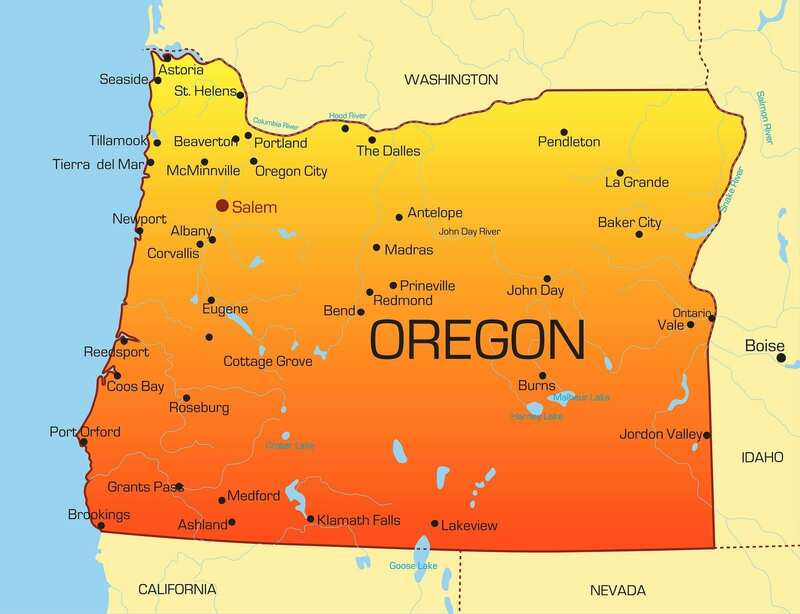 Use the following guidelines to work in Oregon if you’re licensed to work in another state. Fill out the application for registration. Submit evidence of completing high school and national certification and consent to a background check. Applicants must be in good standing with the Board of Pharmacy in their home state.